I couldn't agree more strongly with Théo. As Colin Davis said when he took over at the LSO, what the orchestra needed was to play a great deal of Mozart and Haydn, string tone often having been the Achilles heel of London orchestras. Davis has also said that, of works he would most still like to record he would most like to record, he would choose the St Matthew Passion, but noted that, alas, the 'specialists' would never allow that. As our good host points out, the present situation would have been incomprehensible to great conductors of the past, whether Walter, Klemperer, Mengelberg, or Furtwängler. How is one to hear the Bach in Mahler, let alone the Mahler in Bach, if one does not know Bach - and know him intimately? Even if one were to take the ayatollah-like view that Bach and Handel were and could only be chamber music, it would be necessary to play them for that reason alone. No apologies for reblogging that comment which was left by Mark Berry on Specialisation is damaging classical music. It was also Sir Colin who said "I don't worry about status". So what you're saying is that I should sell my sackbut. Is that it? Well I hate to be the Puritan, but Bach is best heard in a church with the musical forces in the original score. My experience with symphonic renditions of Bach have been that the whole thing becomes weighted down and muddy. Is Bach a vital force? Of course - unless he is hijacked by the musical machinery of a later century. "Boulez put it very well in an interview quite some time ago: 'It was much more interesting when the period piece being performed was actually distorted by the period performing it. " Hmmm. This brings to mind an unsatisfied desire - to hear a full-out performance of the Beecham Messiah ... as long as they have soloists of the quality of Vickers and Tozzi. I mention this for two reasons. First, I think that the more theatrical Handel can stand up to (dare I say "benefit from"?) this sort of treatment much more than Bach. Not to say that this would replace more "authentic" performances. I'm glad to have both. The second reason is that this recording has been much derided as the last gasp of the huge slow "Edwardian" performances. In fact, as Beecham says in an included essay, he wanted to move away from such performances, but felt that authentic Handelian numbers could not produce the needed effect. In other words, he was looking for "authenticity of effect," rather than "authenticity of numbers." I'm far from the only person to wonder how a rousing Handel chorus can have the right effect with a very small choir to ears accustomed to the Mahler Eighth. And we haven't even mentioned Handel's apparent desire for larger and larger performing forces. "Is Bach a vital force? Of course - unless he is hijacked by the musical machinery of a later century." Paul, I'd be interested in an example or two which you consider to be "hijacking." For example, I would not include the Stokowski transcriptions in that category, nor the Webern Ricercar from the Musical Offering (although I suspect that the latter was not what you had in mind by "orchestral"). Scott makes a number of interesting points. I too should love to hear the Beecham Messiah in a (very) good performance. I was thinking of Jonas Kaufmann in place of Vickers... I wonder who would dare conduct it though. The business of orchestrations and instrumentations is rather peculiar - or rather attitudes to them are. There seems to have been concluded some sort of concordat with our authenticke overlords, so that the occasional Bach-Stokowski performance is permitted (or Bach-Elgar, etc., Webern as Scott says being something of a different matter), yet performance of, say, one of the Orchestral Suites 'straight' by a symphony orchestra remains an outrage about which our guardians will fulminate. The puritan mania for prohibition is the most worrying aspect of all. By all accounts - bar the usual fashionable suspects - Norrington's recent Mahler Ninth at the Proms was, to put it mildly, a dispiriting occasion. I was pretty sure that I should feel that way so neither attended nor listened. However, I had no desire to forbid the concert from taking place and to berate the Stuttgart musicians for taking part; nor, I should imagine, would any sane person have wished to do so. If the authoritarianism were not so sad and indeed so troubling, it might almost be comical. I'm very pleased you reblogged Mark Berry's post, as I missed it and am reminded to add Boulezian into my new feed reader. I found particularly fascinating the Boulez quote, as he was for a time his own sort of strict constructionist. I would think "authenticke overlords" of any kind are a baleful influence on classical music. Let a thousand versions bloom, and we can choose among them what we like. Another data point; Bach's keyboard works have been enormously successful in performances and recordings on modern concert grands. Rightfully so, in my opinion; I actually think (and this may brand me as an inauthentic Philistine) that for Baroque keyboard music, it's the harpsichord that can sound muddy and indistinct. Well I hate to be the Puritan, but Bach is best heard in a church with the musical forces in the original score. Good music making comes from performers who understand the historical and musical context but look beyond it approach each score with a questioning attitude that engages the musical and emotional intelligence. The belief that there is one "best way" of performing Bach closes down possibilities for musicians to approach the music with creativity and originality. At its worst it leads to performances that reflect 20th/21st century fashion and insecurity instead of responding openly and honestly to some of the greatest achievements of western civilisation. Scott - the Stokowski transcriptions are precisely what I mean - pompous an leaden. JoXn points out that the piano transcriptions of Bach's keyboard works are rightly popular. I agree esp in the case of Glenn Gould. But a piano is still a single voice - orchestral arrangements of Bach are, to my ear, pumped up with too much sound. Carl G says: 'Good music making comes from performers who understand the historical and musical context but look beyond it approach each score with a questioning attitude that engages the musical and emotional intelligence.' Can't argue with that. But Bach made church music - and that is where it is at its best. Well, I'm no professional and my experience has been hearing a few concerts and singing in a few cantatas. But it always strikes me how liberated the music feels with smaller forces. Too bad Bach didn't have a full orchestra available or we would have given us his final word on the issue. Mark Berry quotes Colin Davis, but this example is hardly convincing. 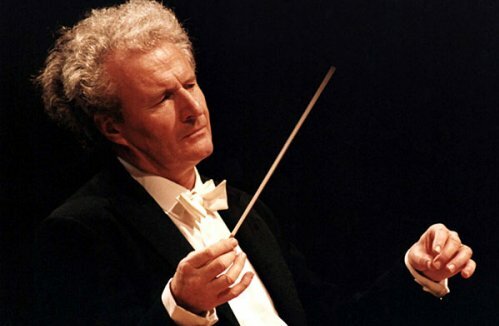 Has Colin Davis stopped performing the St Matthew Passion? Of course not - he has performed it quite regularly in the last ten years. It is simply not the case that all 'great'conductors recorded the work in years gone by. Recordings made by Klemperer, Mengelberg et al are still available.In the current climate why would a record company spend money on a recording by Davis, however fine that might be? Karl Richter, of whom Mark Berry approves, was as much a 'specialist' in the 1960's as Harry Christophers is now. My local orchestra is the BBC National Orchestra of Wales. In the eleven concerts of its main series in its principal venue this season there is no Bach (no real surprise there), no Haydn and no Mozart. The eighteenth century has been totally abandoned! The earliest work in the season is the single Beethoven piece that has made it into this season's programme, the 1806 Violin Concerto. Mozart has been relegated to a weekday lunchtime concert in a secondary venue. Perhaps BBC NOW assumes that nobody below retirement age could be interested in music of the classical period. Whatever the reason for the programming decisions the removal of 100 years of music from the programme of a major orchestra is sad. I'd like to bring to the fore an element in this issue not yet too much taken into account -- at least not explicitly. The present situation re all this and reading this discussion brought to my mind Milton Babbitt. His 1958 article on the composer as specialist (notoriously mistitled by the editor of High Fidelity as "Who Care if You Listen? "), he argued that composers should work in universities, where, as in all academic departments, their works would be judged by their peers (and so also tenure and promotions decided), the only people fit to so judge. The possible reaction of audiences has no part in this. In small part I agree with him re judgement of compositions (though emphatically not his words re universities, which came to be and has been a disaster in most cases), but excludin audiences from choice re what they may listen to is a whole different ballgame. I mention that by way of getting to the question: What about the audience? I have occasionally listened again to the Beecham Messiah with pleasure (and a chuckle at the Hallelujah Chorus). I remember Joshua Rifkin and his 'one voice to a part' Bach performances and disliked them greatly. My most favoured Messiah at present -- Pinnock. Christmas Oratorio -- Gardiner. And so with CDs. I've already stated, or at least hinted, at my preference re the Baroque, but I'd perk up considerably if I saw that Colin Davis had recorded the Matthew Passion. That would go nicely beside Karajan with Ferrier, Richter with Janet Baker, and Gardiner. I mention the names of those singers, for this is a major consideration. I still listen to Kurt Thomas' Leipzig Christmas Oratorio, really a drag, for the enormous pleasure of hearing a very young Fischer-Diskau. There is more to all this than just bass viols and playing/singing fast. My apologies for rambling a bit here, but in sum I merely suggest NOT that symphony orchestras base their entire programmes on what the audience wants, God forbid, but in regard to the questions at issue here, just ask themselves if the audience would not enjoy the performance in mind and find in it something to take home, as it were. And so with CDs, which are literally taken home. I bet that Davis Passion would be a seller.